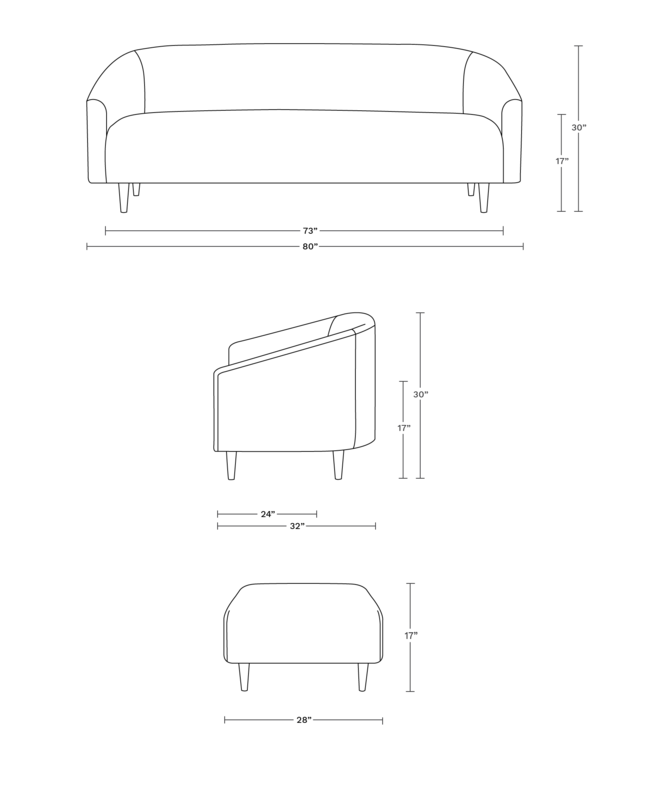 Graceful lines and smart tailoring team up in the Tegan custom sofa. A trio of curves arc around the back and cascade down the arms, whose downward slope mimics the waterfall effect of the rounded seat cushion. These curves are further highlighted by a subtle seam that begins at the crook of the arm and wraps around to the back of the sofa. Surprising details, such as tiny arm pleats, keep the design from feeling too serious.